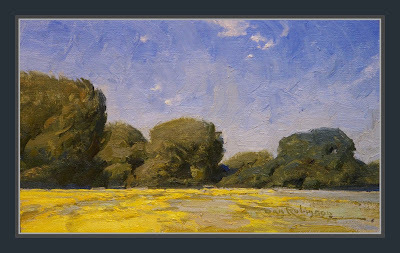 SOLD - Edmond Field - In this painting I was experimenting with a new medium, just exploring some of it's possibilities. DAN - I love it, it's got all the qualities of your earlier work PLUS speed. Whatever you are using you have mastered it fairly quickly!!! Dan, I like this one. Just wondering what you were up to and found your blog. Nice work on the blog.